The widow of a fallen soldier killed in Afghanistan released a recording of her phone conversation with President Trump — and praised him for his kind words. 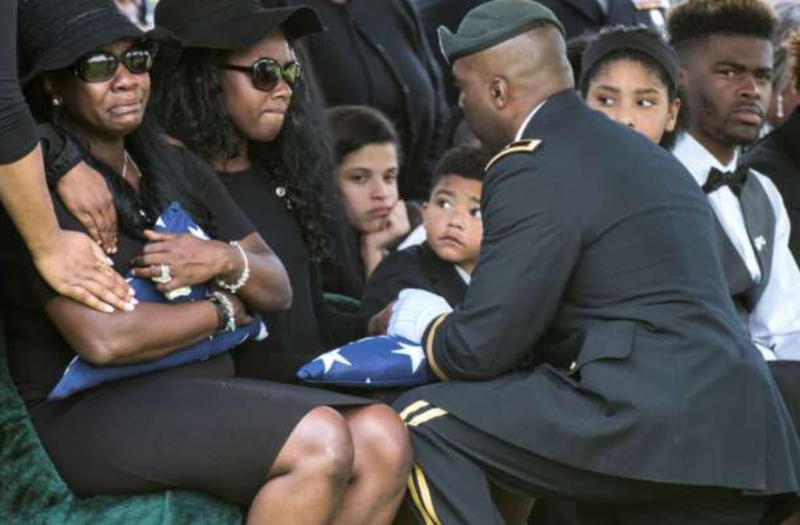 Natasha De Alencar received the call in April when her husband, Staff Sgt. Mark De Alencar, became the first U.S. combat death in Afghanistan in 2017. She turned on the speakerphone, waiting on hold for 15 minutes with her children nearby when Trump’s voice came through the line. U.S. Army Staff Sgt. Mark R. de Alencar, was a Special Forces weapons sergeant assigned to 1st Battalion, 7th Special Forces Group. “I am so sorry to hear about the whole situation. What a horrible thing, except that he’s an unbelievable hero,” Trump says in the recording of the call, shot by one of the couple’s four children. He later invites her to the White House. “If you’re around Washington, you come over and see me in the Oval Office,” he said. Sgt. De Alencar, 37, a Special Forces soldier, was shot and killed during a firefight involving ISIS militants. The call came less than 24 hours after De Alencar watched her husband’s body return from Afghanistan to Dover Air Force Base. Trump has come under fire for telling the widow of a slain Army sergeant that he knew "what he signed up for." The President made the disrespectful-sounding comment to the grief-stricken widow of Sgt. La David Johnson, one of four Americans killed in Niger two weeks ago. Trump claimed on Monday that he has “called every family of somebody that’s died,” something he said his predecessor, Barack Obama, failed to do.